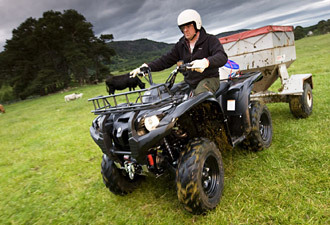 All terrain vehicles (ATVs) are the off-road solution for many farmers and owners of large estates. Ernest Doe are major suppliers of Yamaha ATVs in Norfolk, Kent, Surrey and Sussex and supply a range of Kawasaki ATVs in Suffolk. 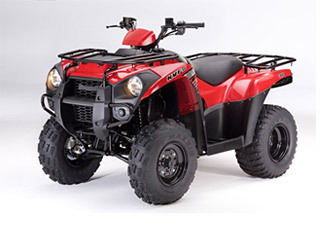 We also have a stock of used ATVs in a variety of makes and models. Any farmer or large estate owner will know just how much time can be spent simply travelling between one place and another to perform different tasks. In fact, it can severely limit your overall productivity. And if you employ people to work on your farm or estate, you can multiply this waste by several times. While tractors can help some of the time, they are often too slow, too heavy or too large to be a practical solution in many situations. Increasingly, busy farmers and land owners are turning to all terrain vehicles to increase their own personal productivity and to help keep down unnecessary labour costs. 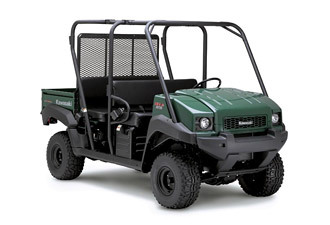 All terrain vehicles are designed to go off road and will easily transport you across fields and other areas which cannot be accessed by road vehicles or tractors. In contrast to tractors, all terrain vehicles are small, light, easy to manoeuvre and use far less fuel. 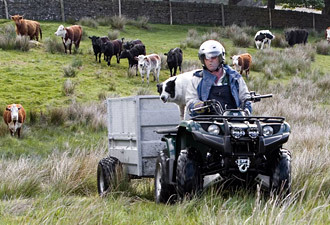 As well as getting people from place to place, with the right trailers and attachments ATVs can be put to a wide range of other uses, such as carrying small loads or even transporting smaller livestock. Using an ATV means you can collect equipment, feed or animals and drop them exactly where they are needed. We hold a range of all terrain vehicles at our sites and we can arrange demonstrations and explain the benefits of the different models available to you. 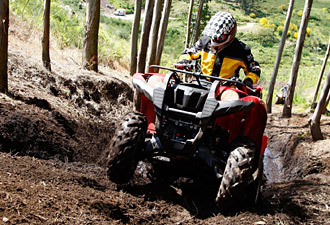 As responsible ATV suppliers we recommend that safety helmets are always worn with ATVs. 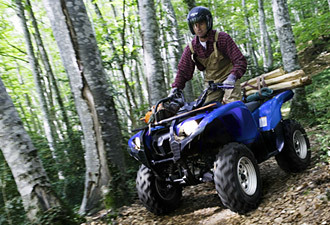 Yamaha is Europe’s number one utility ATV range. 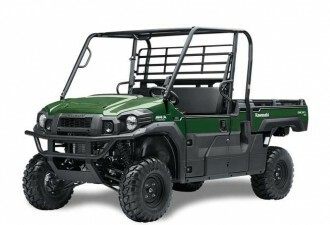 Today’s Grizzly models are unique in the world of ATVs. Their list of features and equipment is second to none and they are designed to be easy to ride and easy to live with. If you have decided that you could do with some four-wheeled help on the job, the Grizzly 125 is your one-stop solution. It’s designed to perform reliably, comfortably and easily, with only the bare minimum of maintenance. Transporting it is also easy thanks to its practical size. What more would you need in a friend? When there’s work to be done, put your trust in the robust, versatile Grizzly 350. Its engine delivers impressive levels of torque and traction in the shape of a compact, manoeuvrable ATV, which is equally at home in the fields or on the hills. The Grizzly 350 likes nothing more than a challenge. 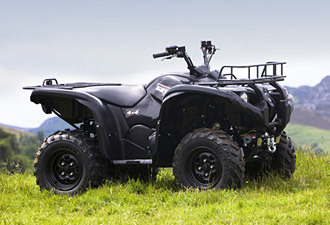 This ATV dominates demanding terrain. Harnessing a robust 348cc air/oil-cooled 4-stroke engine and Ultramatic® automatic transmission, it’s ideal when you’re taking on the most extreme conditions. When heavy-duty work calls, the Grizzly 700 EPS is as ready as you are. Lightweight yet powerful, it tackles any type of terrain thanks to its Ultramatic transmission, independent long-travel suspension and the easy switch from 2WD to 4WD to diff-lock. The Kawasaki range has a reputation for power, reliability and economy, making them an extremely popular choice. The range includes buggy style ATVs designed for one rider, and mules with roll over protection system and space for 2 people. akes. This is an extremely solid ATV, capable of towing up to 227kg. 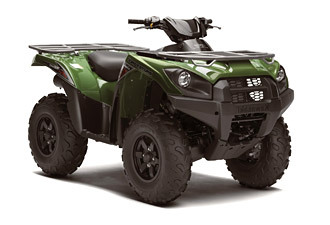 This is an ATV offering yet more power with more comfort. Towing up to 567kg it has independent front and rear suspension and digital speedometer displaying a range of useful driver information. 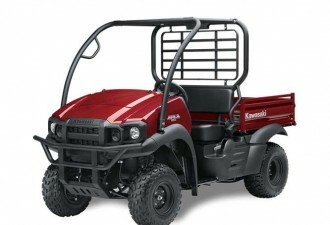 This is a flexible ATV offering power and durability. All the power and ruggedness of the KVF 750, but with Electronic Power Steering (EPS) for superior ease of handling. This is a very light but powerful general purpose vehicle to assist with countless tasks around farms, stables, smallholdings and country estates. The rear of the vehicle is given over to a useful flat bed which can carry up to 181kg, while an internal cargo box provides further space for carrying. Total load including occupants is 420kg. The new Kawasaki MULE SX 4×4 rides on 24 inch tyres and offers selectable 2WD and 4WD with Hi-Lo dual-range transfer case and rear differential lock. Kawasaki PRO styling is underpinned by new suspension settings, reconfigured dashboard plus tilting steering wheel. The dependable OHV 401cc engine, 181kg load and 500kg towing capacity make this is a true Go-Anywhere vehicle. 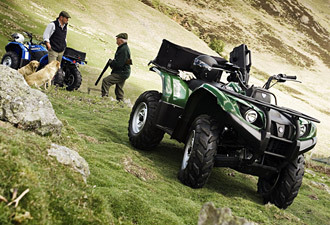 The utility vehicle of choice for many professionals such as farmers, gamekeepers and grounds-care experts. With the largest cargo bed in its class, a towing capacity of 907kg and a top speed of 50kph (30mph), this is a real workhorse vehicle. If you need to carry people as often as you carry cargo, the Trans version of the Mule 4010 is the perfect vehicle. It can be quickly and easily converted between a 2-seat or 4-seat vehicle, ideal for transporting small work teams or guests, and still with enough rear cargo space for bags or tools. It has a truly impressive total load (passengers, cargo and towing) of 740kg. 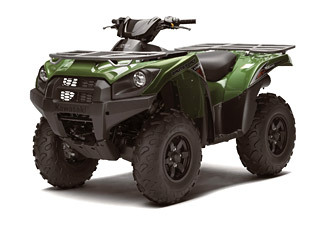 All Terrain Vehicles – Ernest Doe supply customers in Suffolk, Norfolk, Essex, Cambridgeshire, Kent, East Sussex, West Sussex, Surrey, London, Hertfordshire and Bedfordshire with a range of ATVs from Kawasaki or Yamaha. Range of ATVs from Kawasaki or Yamaha.